UPDATE: This method is the SAME for Android 7.0 Nougat custom ROMs! Well, after spending nights and days trying to find a new failproof method, I think I finally have found one that will install Android 6.0 custom ROMs without FC every single time! 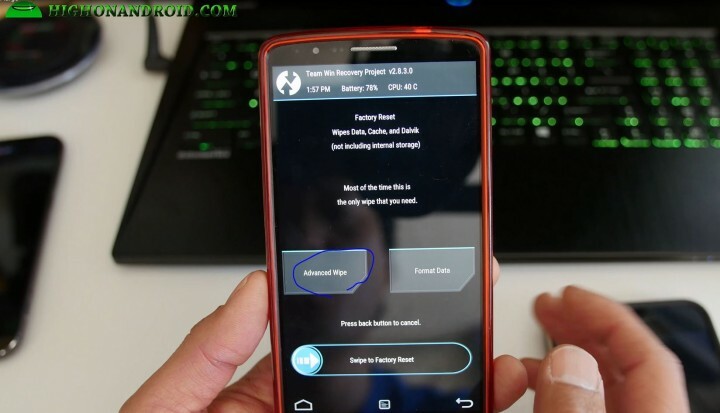 The process basically involves doing a factory reset “after” installing ROM and Gapps, which fixes all types of force close problems when installing a Marshmallow ROM. *Note – This is ONLY for AOSP ROMs, not for TouchWiz ROMs for Samsung. Step 1. 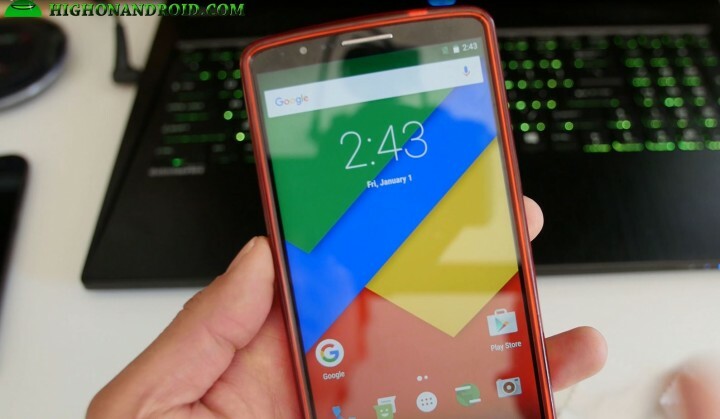 You will obviously need your custom ROM zip file and Gapps file downloaded or copied to your phone’s storage. For Gapps, I highly recommend using the Gapps here on our site. 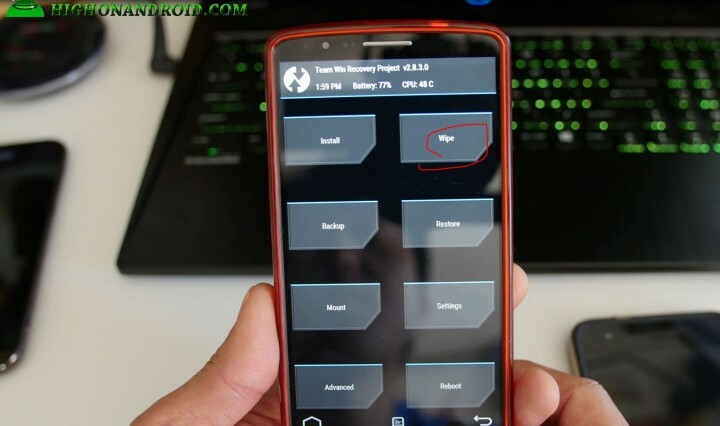 Reboot into TWRP recovery then choose “Wipe”. Choose “system” only and swipe to wipe. Step 2. Go ahead and install your ROM using the “Install” menu button. Step 3. After installing ROM, also install Gapps. Step 4. Next go ahead and choose “Wipe”. Then swipe to do a factory reset. That’s it! For some reason if you don’t do factory reset after install Gapps, it causes havoc on some Android 6.0 Marshmallow. But if you do it “after”, everything boots up fine and your Gapps also works well. This will work on ANY Android smartphone or tablet. Hello! I’m having troubles with my battery since I installed this rom on my Samsung Galaxy Note 2 GT-N7100. It drains faster than normal… Is there any solution? can this works with other recovery software ? where i can find the CR zip file???? I am searching for the dynamic gapp file which you have suggested in the video dynamic gapp . can you plz share the link.. I did exactly as the instructions said and now it won’t go past the LG screen. clear cache and dalvik then reboot. What could happen if you wipe, dalvik, data, system, cache instead of just system? i flash this rom in SGH-i317m and work fine, but when update SuperSU and reboot, and still rebooting…. any solution? Is there any way to update haier Android phone? Yo, Mr Max Lee. Would you like me to post a proper Tutorial of how to flash a ROM. You apparently need one. I AM GOING TO FLAG THIS POST! I’ve seen a few bad tutorials in my days. This one is the worst I’ve ever seen, by far! It’s so bad, take a look at what you’re doing for these poor inocent people. I don’t usually go this far out of the way, but for you, I WILL! Check this out kid. Maybe these people didn’t realize that this tutorial was missing just about everything possible. Nor did they realize that you do not wipe the device “after” installing a ROM. So, check out how many of them soft-bricked or even hard-bricked their device. I am going to hold you responsible. I am going to show Google plus a proper tutorial to prove you’re a dumb*** and that this post should imeadiately be stricken from the web. This is a joke and a crule one at that. You have been advised! This is far from acceptable! Przemysław Danielewski. Do not try to follow any of this. It’s garbage to begin with. I’ll tell everyone why. I would say that this method isn’t going to work for many people and the reason why is that you can’t just flash, “any” ROM into your device. The tutorial is wrong also, that’s hardly how it’s done ROMs are mostly specific to the device being that it’s where the source code is supposed to come from. There are a few variations it could be applied to, but most definately, not all of them. So, it’s a bad idea to try to flash this ROM into you device and that’s why most of you are having prioblems. We all wish it would be that simple and obviously some of you are finding out something is wrong with this. I saw it from the begining and as I read each sentance I’m saying you gotta be kidding me. Then as I read along I can see that many have doen what we call, “soft-bricked” their beloved phones. I’ll point out that this misses more than a few things. First done, should be unlocking the Bootloader for a lot of you and your devices. Then you can install a recovery such as TWRP or CWM. Another one missed is that a SuperUser is commonly installed with the recovery, if that doesn’t happen, you don’t control the device and as soon as you reboot most will loose the recovery. Because that’s how it works. Here’s one I don’t understand. You dont flash ROMs or anything else into the device and then clear or wipe cache, memory Davlik, You wipe it all before, then install the ROM. Otherwise you just erased the program, and surely will not have it, IF, it even reboots. Most of you are caught in a bootloop. So, go find the original firmware for your specific device and that’s what you need to install to fix your issues. Everyone here needs to start over, basically. That’s your best fix. This post is complete TRASH! And since there is no disclaimer about it, and what it may do. Everyone here has a fraud and false advertising case aginst the person, who posted this garbage! BEWARE! this ROM may only work on a few devices. If you try it and it works. I’d like to know how that’s even possible. It does not follow any type of flashing proceedure. It doesn’t even mention that you have to root the device before you can actually do anything with it, much less toss in a ROM! B.S. on a Grand Scale. I hate to say this, but the author of this post really deserves to get sued! Next story Sony Xperia Z5 Premium Review! Previous story Zenfone Zoom vs. Galaxy Note 5 Camera Comparison!